The Associated Press’ Twitter account presented President Trump’s spending plan for 2018 very differently from then-President Obama’s budget proposals they reported on in 2015 and 2016. However, in their tweets about Obama’s deficit-ridden spending plans in 2015 and 2016, the AP instead chose to highlight the positive areas of spending from the plans. A news agency is an organization of journalists established to supply (sell) news reports to news organizations from around the world, including newspapers, magazines, websites and radio and television broadcasters. Such an agency may also be referred to as a wire service, newswire or news service. 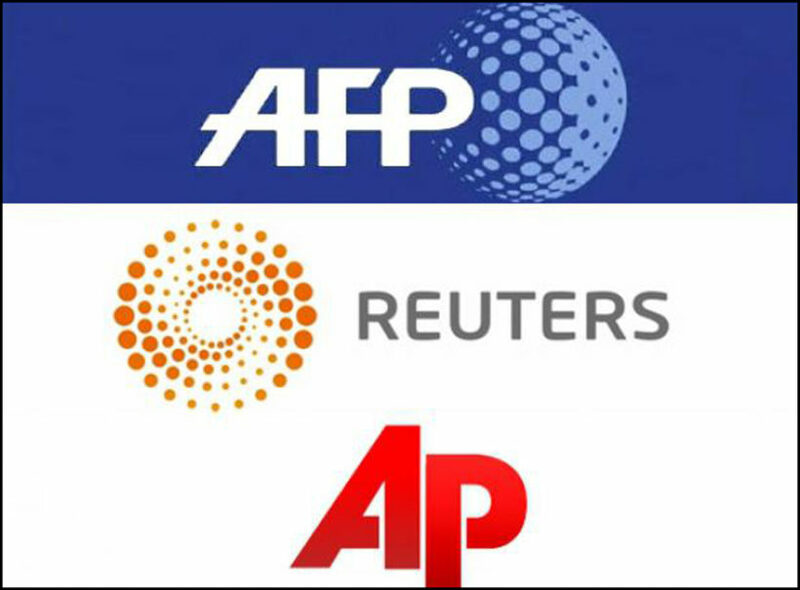 The major news agencies – the Associated Press (AP), Reuters and Agence France-Presse (AFP) – generally prepare hard news stories and feature articles that can be used by other news organizations with little or no modification, and then sell them to other news organizations. Since its founding in 1846, the Associated Press has been the first to report many of history’s most important moments, and every day, AP journalists, photographers and videographers file news from the front lines of the world’s biggest stories. AP’s reporting, photography, audio and video are published and broadcast by the world’s leading newspapers, TV channels, apps, radio stations, websites and magazines – in fact, over half the world’s population sees AP news content on any given day. 1. What type of bias does the AP display in the way it reported President Obama’s proposed budgets compared to President Trump’s proposed budget? 2. Why do you think the AP chose to editorialize in their headlines? 3. All major media outlets use AP stories – and oftentimes the same AP headline. How might these differing headlines/news reports affect the way Amerians view President Obama’s spending proposals vs. the way they view President Trump’s spending proposal? 1. The AP comparison illustrates bias by spin (or editorializing).